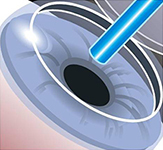 The CLEI Center for Keratoconus, directed by Peter S. Hersh, M.D., is a unique subspecialty institution dedicated to treating patients with keratoconus. Now 15 years old, it was formally inaugurated in 2002 by The Cornea and Laser Eye Institute - Hersh Vision Group. The goal of the Center is to provide the keratoconus patient with expert, state-of-the-art diagnostic, therapeutic, and surgical services covering all aspects of keratoconic care. At The CLEI Center for Keratoconus, we bring our patients all available options to manage your KC in the best possible way, for all aspects of the disease, over the long term. Here at the CLEI Center for Keratoconus, we are dedicated to research into keratoconus treatments. Dr. Hersh has published 4 textbooks and 100 research articles. 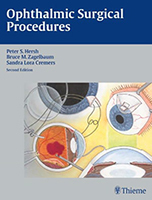 In particular, our recent research efforts have focused on corneal collagen crosslinking. Some of our latest published medical journal articles can be read here. If you are a patient who would like to send us your experience, please e-mail info@vision-institute.com. We encourage you to read more about our latest news at the CLEI Center for Keratoconus.